For each pokemon in your hand that evoles from eevee, this pokemon gets 20+ HP. You can't use more than one energy heal each turn. 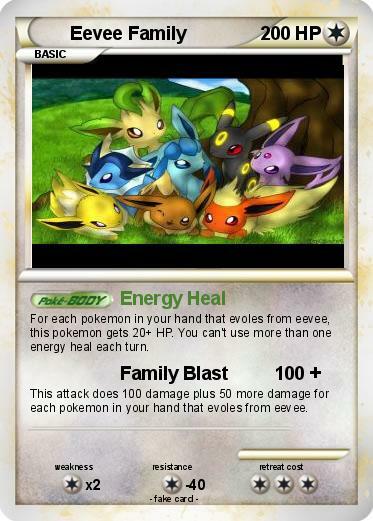 This attack does 100 damage plus 50 more damage for each pokemon in your hand that evoles from eevee.